BUMA Cultuurfonds, Canadian Embassy in the Netherlands, Fonds voor Amateurkunst en Podiumkunsten, Fonds voor de Scheppende Toonkunst, Gaudeamus/Dutch Jazz Connection/Donemus, Kersjes van de Groenekan Fonds, Ministerie van Sociale Zaken, MuziekGroep Nederland, SNS Reaal Fonds, ThuisKopie Fonds. Nederlands Fonds voor de Podiumkunsten+, Canada Council for the Arts, The Netherland - America Foundation, Prins Bernhard Cultuurfonds, Nederlands Letterenfonds, private donations, Fonds Podiumkunsten (Performing Arts Fund NL). The Wig Foundation, lead by bandleaders-composers Ab Baars (tenor saxophone, clarinet, shakuhachi) and Ig Henneman (viola), promotes improvised- as well as composed music. Wig was founded in 1993 and has since produced 625 concerts and 28 CDs. 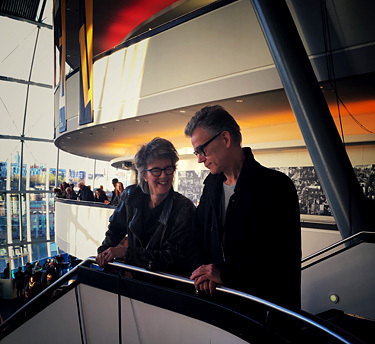 During concert tours Henneman and Baars often give workshops and master classes. The Dutch Tax Administration has given the Wig Foundation the ANBI status, assigned to organizations for public welfare. This means private donations are tax deductible.